We will perform a newborn exam on your baby shortly after he or she is born. We require that your baby is seen by a family practice or pediatric doctor within the first week to be certain that things are progressing normally. You will return to The Birth House at 1 week, 2 weeks, 3-4 weeks, and 6-8 weeks for continued postpartum care. 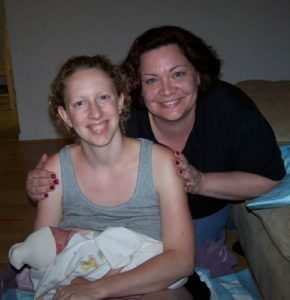 If additional postpartum care is needed, Amy Michaelson provides postpartum doula services at $30/hour.